Property 17: Nice apartment in Alpendorf in the ski area Snow Space with Flachau, Wagrain, ..
Prime Location Luxury First Floor Apartment overlooking the Rauris Valley. Property 18: Prime Location Luxury First Floor Apartment overlooking the Rauris Valley. Property 22: Surpisingly modern appartment on a traditional hillside working farm. 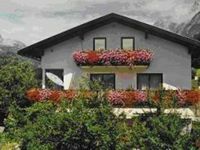 Property 49: Cosy holiday home in the beautiful Maria Alm, directly by the piste. Property 50: Modern apartment with sauna and sunny location. We had a great stay at this apartment. Very friendly hosts that were fantastic. Very clean and comfortable apartment. We enjoyed sitting on the balcony and admiring the mountains. One of the highlights of our trip was going to the castle nearby and watching the falcon / bald eagle flying demonstration. It was amazing!! 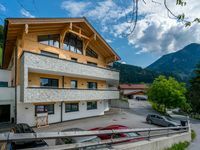 This apartment is in a perfect location &mdash; close to a grocery store, short drive to Salzburg, and lots to see close by. We will definitely stay here again!